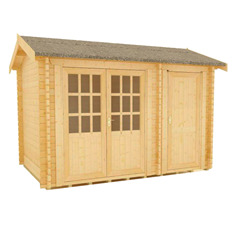 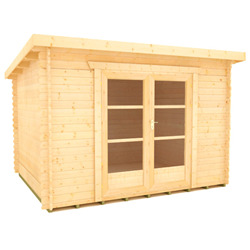 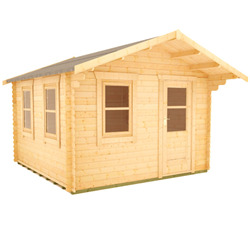 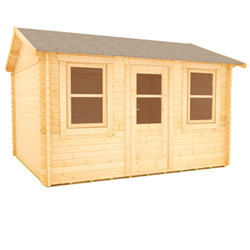 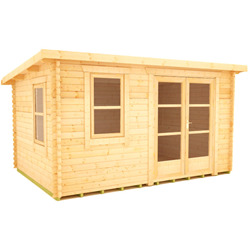 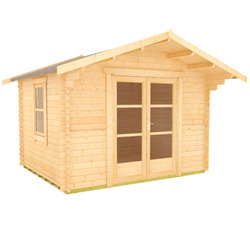 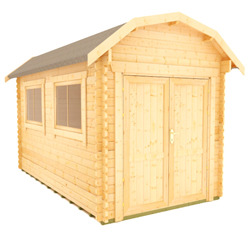 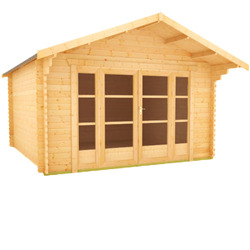 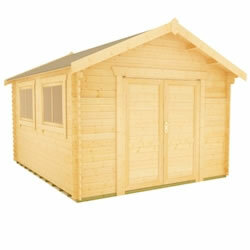 Our 8x12 log cabins are versatile and practical, with a space-saving size that is ideal for more compact gardens. 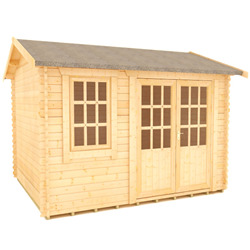 We have many styles of building available in this popular size, giving you the freedom to choose between apex and pent roofs, single or double doors, and a variety of window designs. 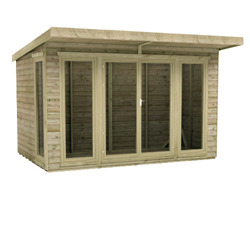 All our buildings can be made bespoke if you wish to customise the design of your log cabin, so give our friendly sales team a call on 0113 205 4189 who will be happy to help.